The Islamic State has claimed responsibility for two attacks that claimed at least 12 lives in Iran on Wednesday. With this, the flaring tensions between Sunnis and Shias are once again in the news. Iran is a Shia Muslim majority state often in tension with Sunni states and extremist groups like the Islamic State or al-Qaeda. These attacks are the latest chapter in the story of the centuries-long strained relationship between Sunnis and Shias. Both Sunnis and Shias - drawing their faith and practice from the Qur'an and the life of the Prophet Muhammad - agree on most of the fundamentals of Islam. The differences are related more to historical events, ideological heritage and issues of leadership. The first and central difference emerged after the death of Prophet Muhammad in A.D. 632. The issue was who would be the caliph - the "deputy of God" - in the absence of the prophet. While the majority sided with Abu Bakr, one of the prophet's closest companions, a minority opted for his son-in-law and cousin - Ali. This group held that Ali was appointed by the prophet to be the political and spiritual leader of the fledgling Muslim community. Subsequently, those Muslims who put their faith in Abu Bakr came to be called Sunni ("those who follow the Sunna," the sayings, deeds and traditions of the Prophet Muhammad) and those who trusted in Ali came to be known as Shia (a contraction of "Shiat Ali," meaning "partisans of Ali"). Abu Bakr became the first caliph and Ali became the fourth caliph. However, Ali's leadership was challenged by Aisha, the prophet's wife and daughter of Abu Bakr. Aisha and Ali went to battle against each other near Basra, Iraq in the Battle of the Camel in A.D. 656. Aisha was defeated, but the roots of division were deepened. Subsequently, Mu'awiya, the Muslim governor of Damascus, also went to battle against Ali, further exacerbating the divisions in the community. In the years that followed, Mu'awiya assumed the caliphate and founded the Ummayad Dynasty (A.D 670-750). Ali's youngest son, Hussein - born of Fatima, the prophet's daughter - led a group of partisans in Kufa, Iraq against Mu'awiya's son Yazid. For the Shias, this battle, known as the Battle of Karbala, holds enormous historical and religious significance. Hussein was killed and his forces defeated. For the Shia community, Hussein became a martyr. The day of the battle is commemorated every year on the Day of Ashura. Held on the tenth day of Muharram in the Islamic lunar calendar, scores of pilgrims visit Hussein's shrine in Karbala and many Shia communities participate in symbolic acts of flagellation and suffering. On the other hand, Shias relied on Imams as their spiritual leaders, whom they believed to be divinely appointed leaders from among the prophet's family. Shia Muslims continue to maintain that the prophet's family are the sole genuine leaders. In the absence of the leadership of direct descendants, Shias appoint representatives to rule in their place (often called ayatollahs). 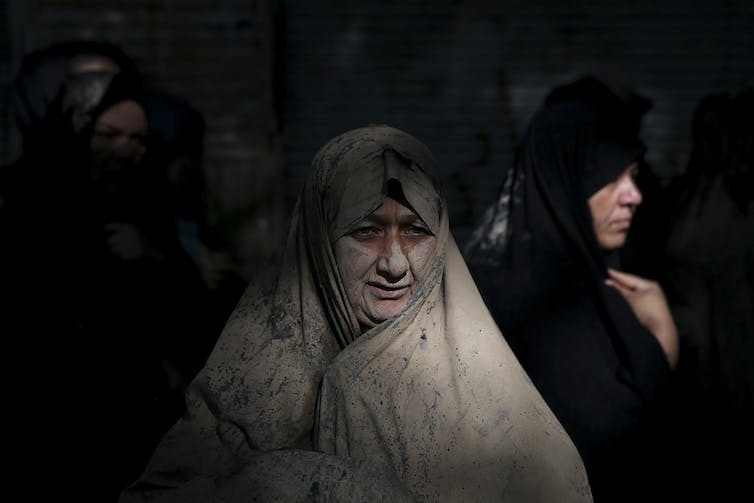 Shias are a minority of the global Muslim population, although they have strong communities in Iraq, Pakistan, Albania, Yemen, Lebanon and Iran. There are also different sects within Shia Islam. For example, when it comes to theology Sunnis and Shias draw from different "Hadith" traditions. Hadith are the reports of the words and deeds of the prophet and considered an authoritative source of revelation, second only to the Quran. They provide a biographical sketch of the prophet, context to Quranic verses, and are used by Muslims in the application of Islamic law to daily life. Shias favor those that come from the prophet's family and closest associates, while Sunnis cast a broader net for Hadith that includes a wide array of the prophet's companions. 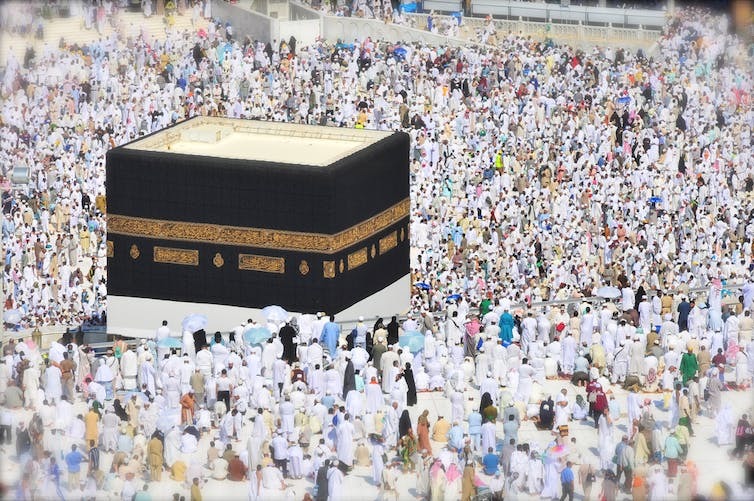 During the Hajj - the pilgrimage to Mecca, held annually and obligatory for all Muslims once in a lifetime - it may seem that these differences are masked, as both Sunnis and Shias gather in the holy city for rituals that reenact the holiest narratives of their faith. And yet, with Saudi authorities overseeing the Hajj, there have been tensions with Shia governments such as Iran over claims of discrimination. Ken Chitwood is a Ph.D. Student, Religion in the Americas, Global Islam, University of Florida. This article first appeared in The Conversation.